Details: In it’s 90th installment, this could be considered the grandfather of all spring pond skim events. Started by a couple of rowdy skiers in 1928 named Cliff Whyte and Cyril Paris, they discovered that fires and logging had created ready-made ski slopes all around Banff. After skiing deep powder all winter long, these ski bums, along with their buddies, gathered to celebrate the snow-melt runoff and started what has become a tradition for finishing off the long ski season in Banff. Makes sense why we put these two resorts in our top 10 for spring skiing. Sunshine Village’s largest event. 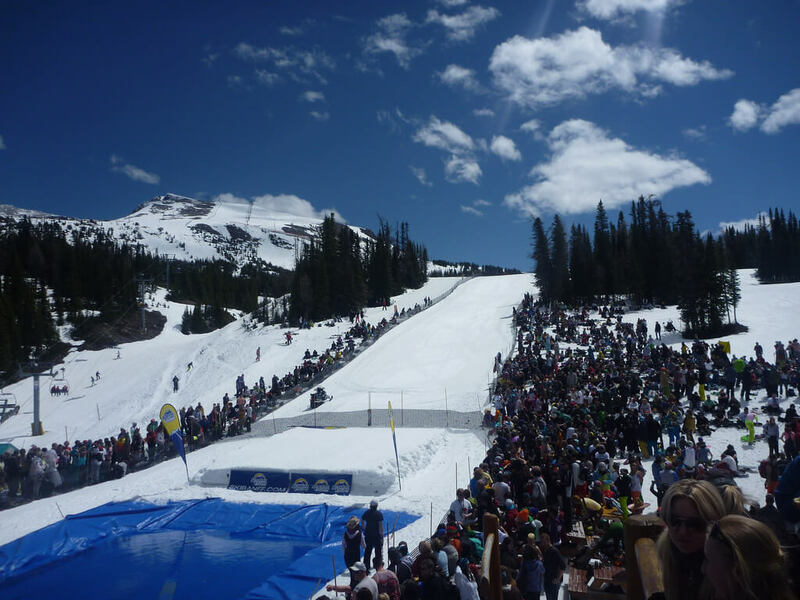 Held on the last day of the season, Slush Cup is a competition where participants ski or snowboard down a run into an icy pool of water. The aim is to skim across to the end on the pool. Registration is on the day ONLY from 8:30 am in the village outside the Ski School desk.